Business Plan (for new businesses only). Our Indoor Inflatable Team also works on insurance for a variety of other business types. Some examples include insurance for: Haunted Houses, Motocross Racing, Family Entertainment Centers, Sports, Zoos, Martial Arts, Product Liability & more! If you need insurance for a unique type of business give our team a call...they might be able to find insurance coverage for you! 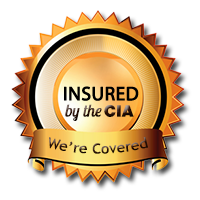 We offer indoor inflatable center insurance at unbeatable rates! We have great insurance programs for bounce houses, inflatable slides, inflatable games, indoor trampoline parks & more! We know that your center may include more than inflatables...we can cover you for other things such as concessions, kiddie rides, laser tag & more! We are unable to give a quick estimate on the cost of indoor inflatable insurance because all centers are not the same. When estimating the cost of your insurance we take a look at your insurance track record (number of claims/losses), your experience in the industry and the units that you operate in your indoor center. In order for us to give you a quote please fill out an indoor inflatable insurance application or give us a call at 864-688-0121. Ivy, Ian or Taylor will be glad to help you out! If you are a broker please visit our broker page. In order for your indoor inflatable center to be properly covered there are other types of coverage that you may need. You can watch a video of “What Type of Insurance Do I Need” here on our website. Below are some of the suggested coverages that you may need. See a description of what these different types of insurance cover. Give your customers piece of mind by letting them know that your inflatables are insured! You have the insurance, let you customers know it on your website! Simply copy the url code below & paste it into any of your web pages or use the image & link it to weinsureinflatables.com. Keep up on the Latest Indoor Inflatable News & Tips!